With just 1 round remaining things are heading up in the chase to be class champion. Be sure to stay tuned for the final round and watch how it all unfolds!! 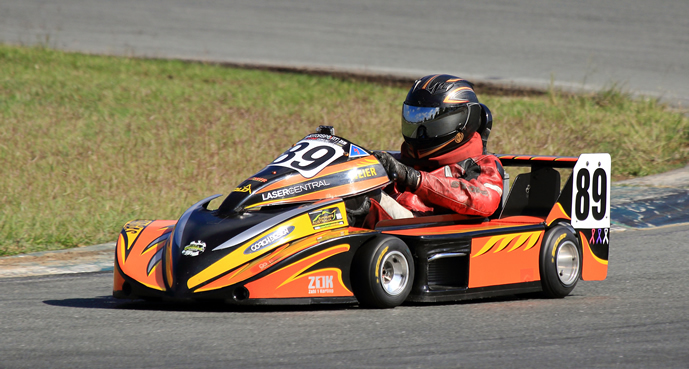 125cc Rotax Heavy- Nicholas Marshall may have been the only heavy on the weekend but that didn't stop him racing hard and showing some of the lighter guys how it's done. 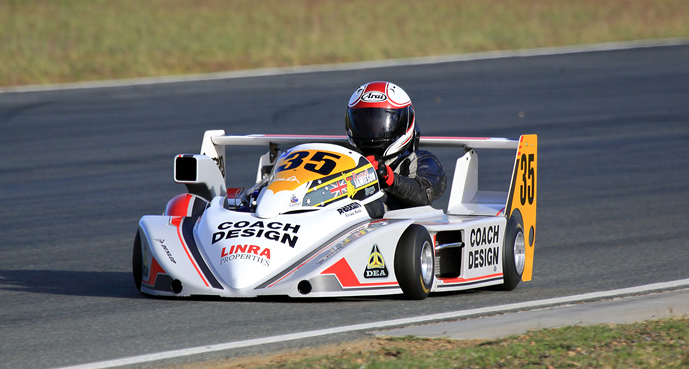 125cc Rotax Light- These guys were at it all weekend long with Peter Nuske and Dan Lewis swapping positions nearly every lap of every race. 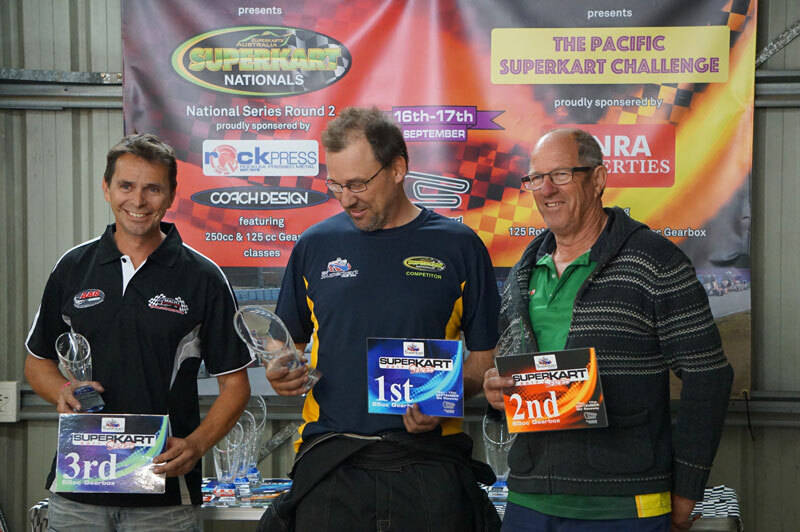 In the end it was Peter Nuske who got the better of his team mate forcing Dan to settle for 2nd. 3rd was Allan Parker from over the border showing us he's no slouch always being hot on the heels of the lead 2 ready to pounce if either made an error. To stay in touch with what is happening at this event, you can do this many ways. 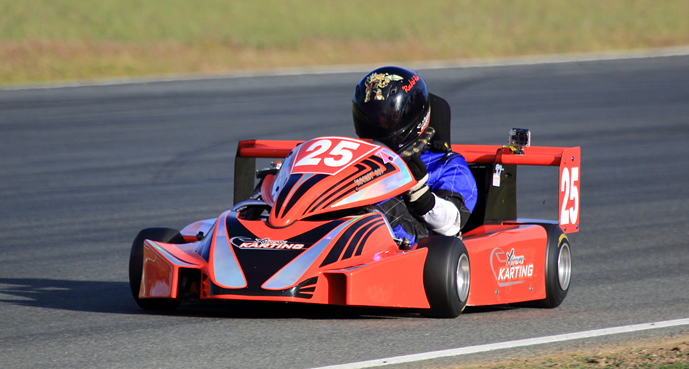 Practice day for Superkarts at Queensland Raceway on Saturday August 26th 8.30am to 12.30pm. Cost for a half day $120.00. 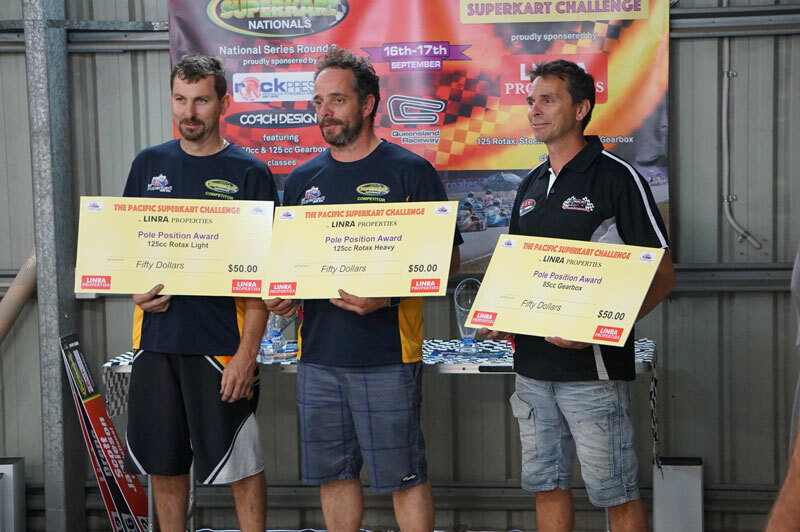 Need 10 to confirm a Superkart only slot. 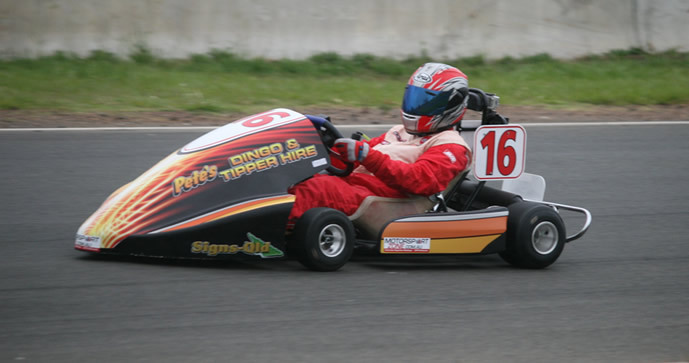 This is an ideal opportunity for somebody with a sprint kart to try road racing. 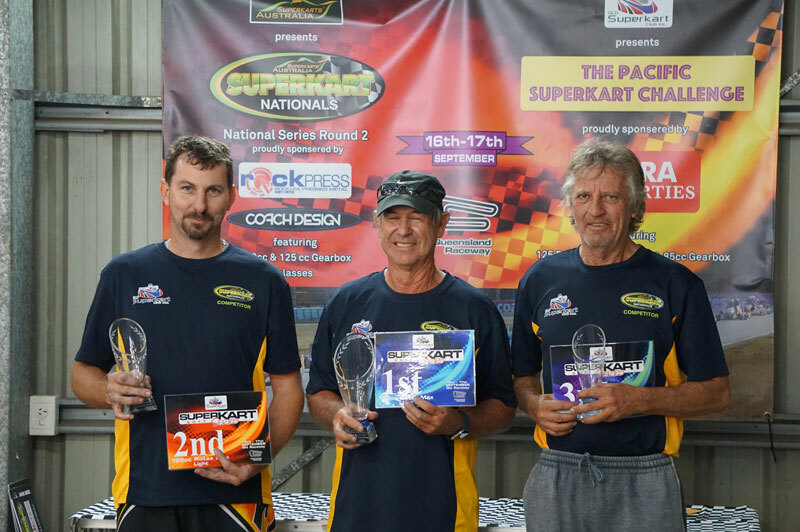 Please inform the Secretary on secretary@qldsuperkart.org to confirm you spot. 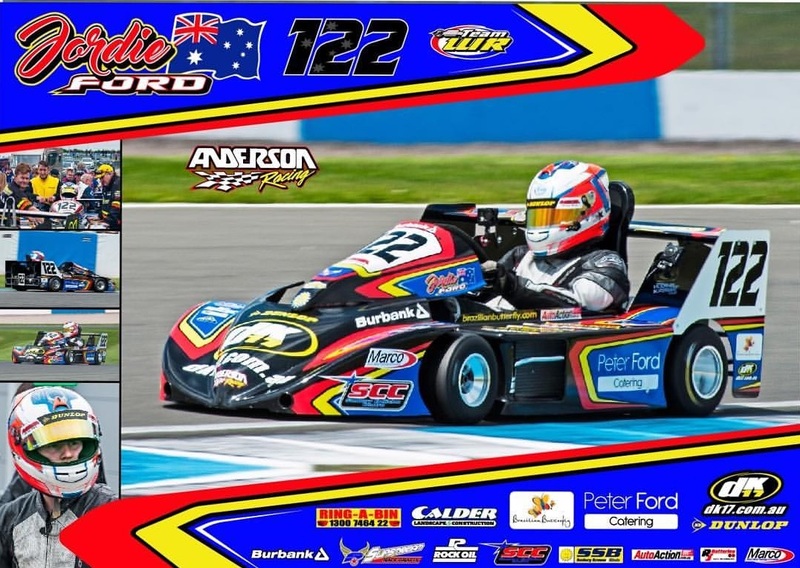 Australian champ Jordan Ford took the double today in Assen winning Sunday’s Round 4 of the European Superkart Championship in the Mono Division to complement his Saturday victory. In doing so the young Victorian extended his lead in the Mono Cup. Starting from the Mono pole, twentieth position overall, Ford made a lightening start coming out of the first series of corners in 13th. 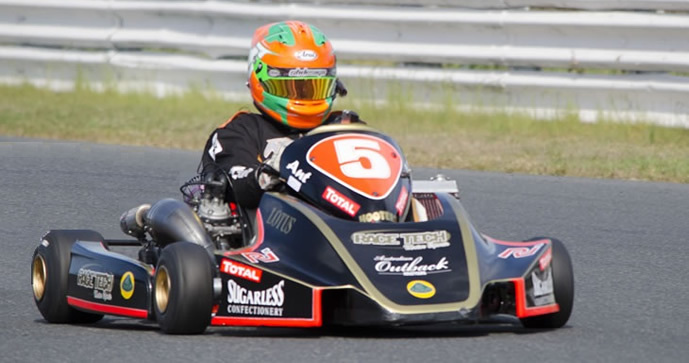 Young Aussie Jordan Ford continued his strong overseas form, taking an amazing victory in Round 3 of the European Superkart Championship. His come from behind victory one of his best drives to date. 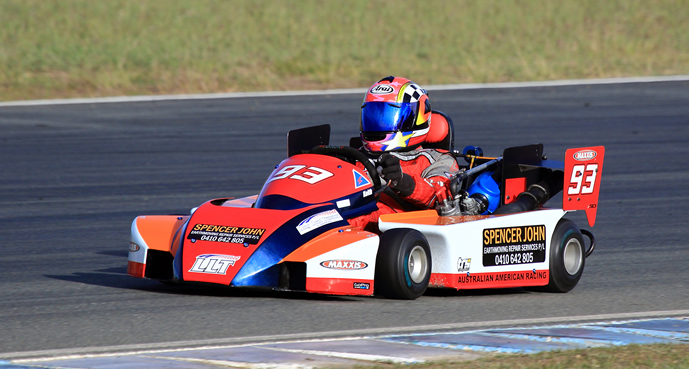 Reigning Australian Superkart Champion Jordie Ford continued his hot form claiming pole position at the Assen TT Circuit, scene of rounds 3 & 4 of the European Superkart Championship. On his first visit to the legendary circuit, Ford quickly came to grips with the high speed layout leading practice and both qualifying sessions. Fords Anderson/DEA was at the top of the time sheets midway through practice the first practice session as he bettered three time British Champion Paul Platt's PVP/ Gas Gas benchmark time with current Euro Mono number 1, Gavin Bennett also improving. The day didn't go all Fords way they as In qualifying two Jordan elected to stay in pit lane as inclement weather threatened. Bennett then found some speed to better Ford with ten minutes left on the clock of the 25minute session, forcing Jordan to resume ontrack where he lowered the Mono Class pole time by a further three hundredths of a second to claim pole. Race 1 takes place at 1pm local time Saturday before Sunday's final race at 9.30am. Ford currently sits second in the championship behind Paul Platt with the championships final round taking place in late October at Lemans Bugatti Circuit. The second event of the Championship of Europe CIK-FIA de Superkart takes place August 4 & 5 on the TT in Assen temple of speed circuit. This unmissable for discipline is the most popular. Indeed, the Superkart is included to the program of the 'Gamma Racing Day' event that attracts an audience still very numerous (more than 90,000 spectators in 2016) sensitive to the various parades. This year's team Renault F1 which will be the star of the demonstrations with the presence of Nico Hulkenberg. 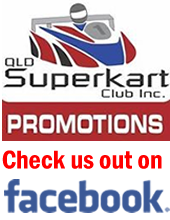 Queensland Raceway is set to be upgraded in the near future. 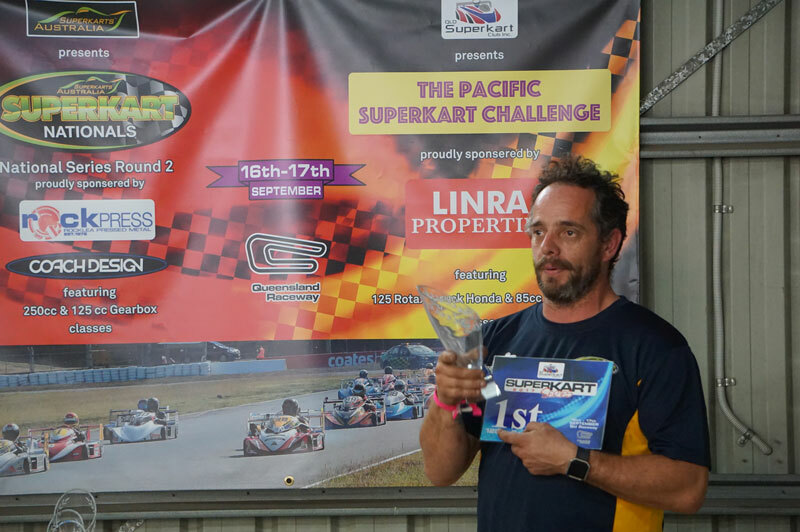 With version 2 of the new track layout just released, the Ipswich City Council is currently planning a $52.3 million spend which would see the development of an Ipswich Motorsport Park Councillor Tully has said. For more more stories on this upgrade, see the links bleow.